Small business irony at its best: Including the word “Dry” in the name of your small business when you open the first distillery in Washington since prohibition. Although the connotation wasn’t lost on entrepreneurs Don Poffenroth and Kent Fleischmann, founders of Dry Fly Distilling, Inc., the company’s name actually stems from their shared love of fly fishing. These entrepreneurs didn’t come up dry in terms of their success: Their first whiskey release sold out in ninety minutes. After just three years Dry Fly products are now available in eighteen states and three countries. 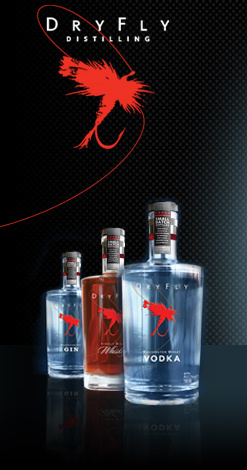 And to top it off, Dry Fly Distilling won “best vodka” and “double gold medal” awards for its Washington State Wheat Vodka at the recent 2009 San Francisco World Spirit Competition – beating out Grey Goose, Belevedere and more!